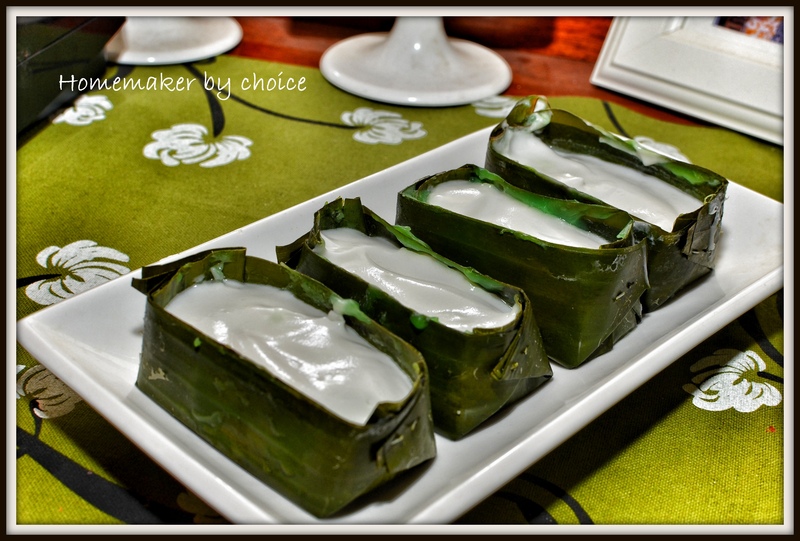 Tepung Pelita is one of the must try Malaysian desserts. It is the most popular desserts during Ramadan… normally they will be the first one to be sold out regardless of their prices. 4 years back I think they were selling these desserts 5 for RM2, I wonder how much this kuih is selling now especially during fasting month. 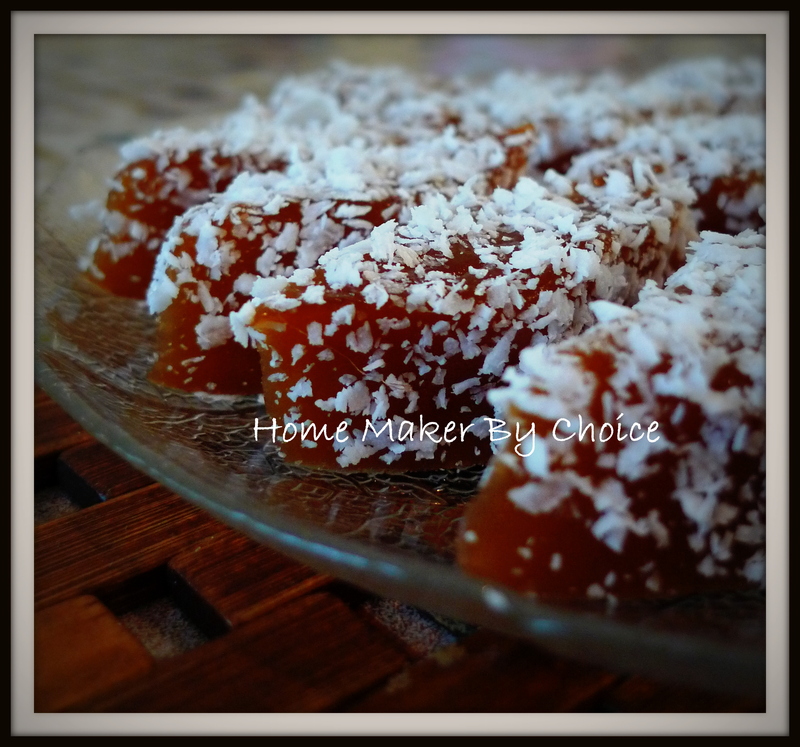 So, if you are a pro in making this kuih pelita, I would suggest you to open a stall in the Ramadhan Bazaar, you surely would make a fortune, well…not literally but you would make a substantial amount of money. Actually I have been craving for this kuih pelita for quite some time already. 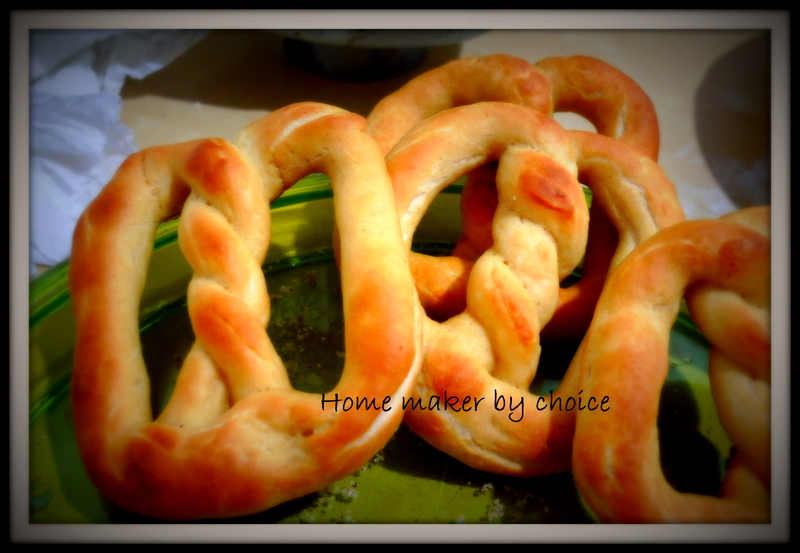 My quest for the recipe brought me to a few sites/blogs of those who has made this before. 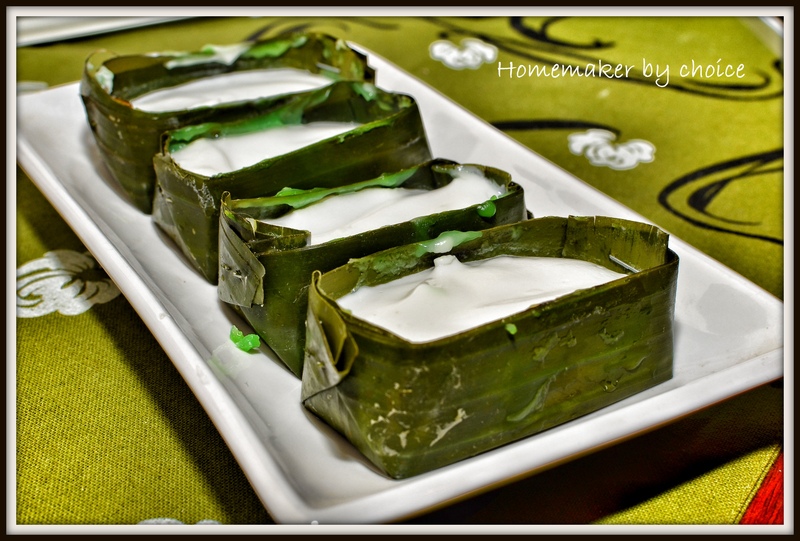 My first attempt resulted in a disaster, I was devastated because the thought of all the ingredients that I have wasted and not to mention the expensive banana leaves that I just throw away…. Tension betul but luckily Pn Noor Aza came to the rescue. She suggested that I try this recipe taken from here and the outcome was marvelous! 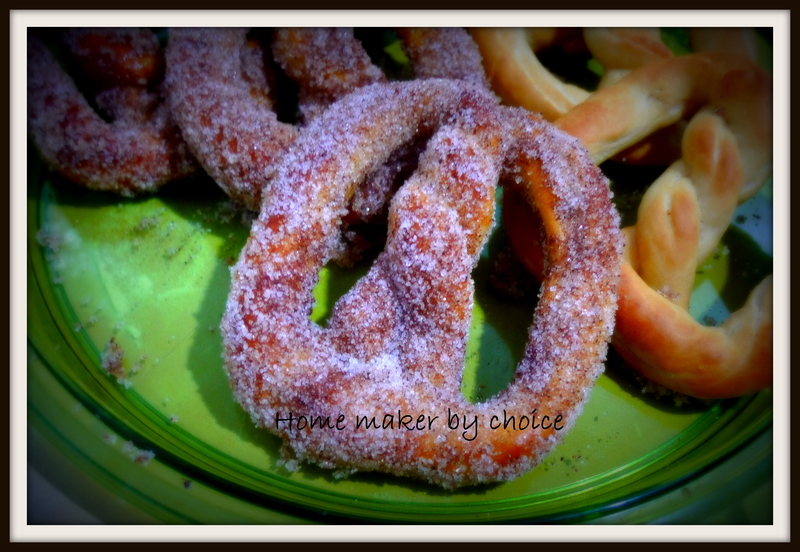 I was soo delicious… 2 thumbs up to the recipe owner. Arrange banana boats onto a tray. Place 1 teaspoon of sugar in each boat. 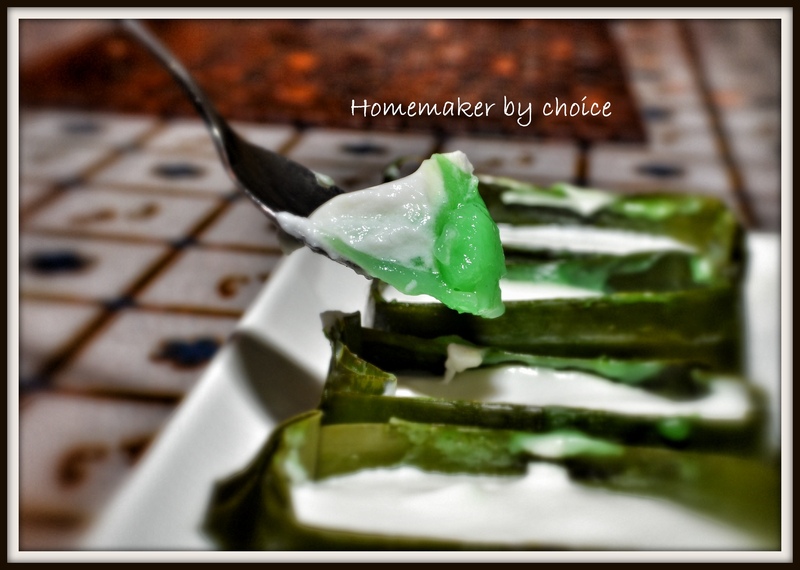 For bottom layer, place rice flour, water, pandan juice, salt and lime in pan a saucepan and mix well. 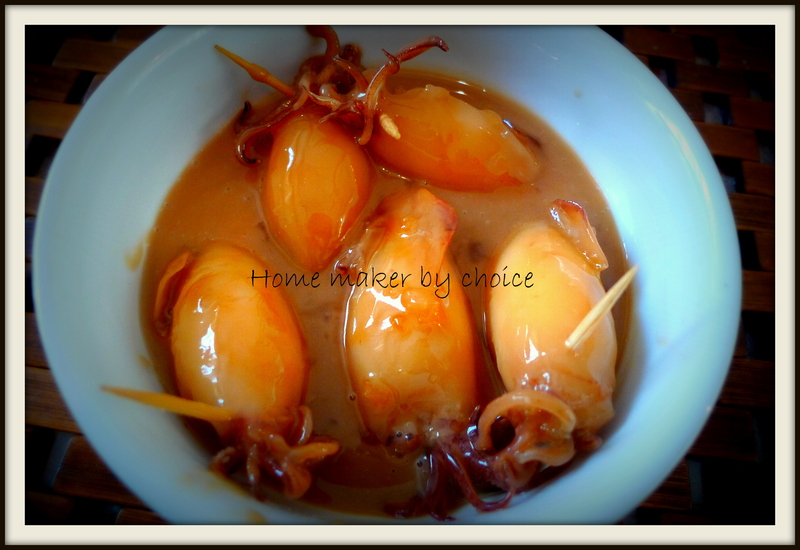 Cook over a medium heat until thick and translucent. 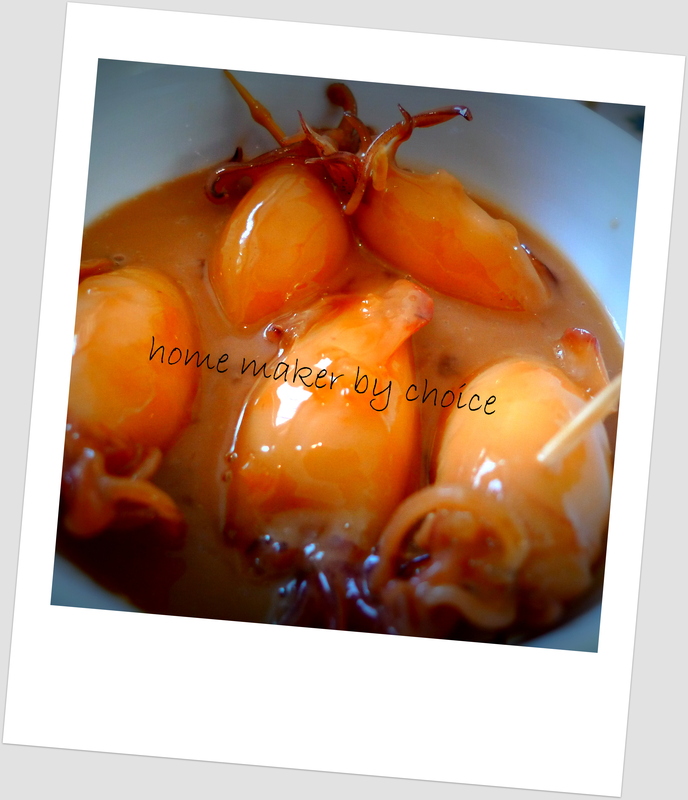 Spoon the mixture into banana boat until 3/4 full. Set aside. For the top layer, put all ingredients into a pot and stir until smooth. Cook over low heat until mixture thickens. Spoon the cooked top layer over the green bottom layer. 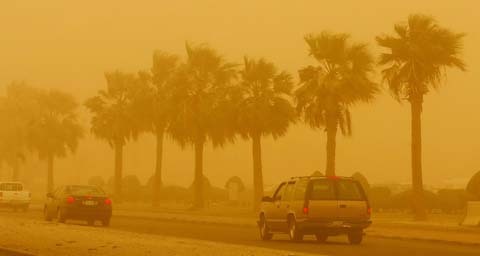 In Kuwait, during the month of March, April and May it is called “sarayat” season where the weather is a little bit tricky. During these season you could get up to a beautiful sunny and peaceful day and as the afternoon goes on clouds start to build up from nowhere bringing fierce thunderstorms by the evening. You could also get dust at times during this sarayat season. Well, the kids are at home today, so nothing much can be done… all plans that I have lined up for the day have to be put on hold. Well, almost all plans… he he he because I’m determine to post this recipe after almost two week neglecting this blog even though believe it or not I have spent almost 2 hours on this posting since this morning… apa taknya have to stop every 10 minutes to attend to questions, helping them with their works and not to mention request for food mmmm…. So, here is the recipe taken from myresipi. Since it was my first attempt, I only made 1/2 of the ingredients below. Grease the 30 cm cake pan with oil. Combine the grated coconut and salt in a small bowl. Set aside. 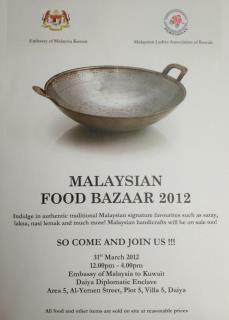 Place palm sugar, granulated sugar, 450ml water and screwpine leaves in a saucepan. Heat until the palm sugar and granulated sugar dissolve. Strain and cool. Mix together flour, tapioca flour, rice flour, water, alkaline water and lime water in a bowl. Mix well. Pour the cooled syrup into the batter and mix well. Pour the batter into the greased cake pan and place it into the steamer. Steam for 40 – 45 minutes. Cool and cut. 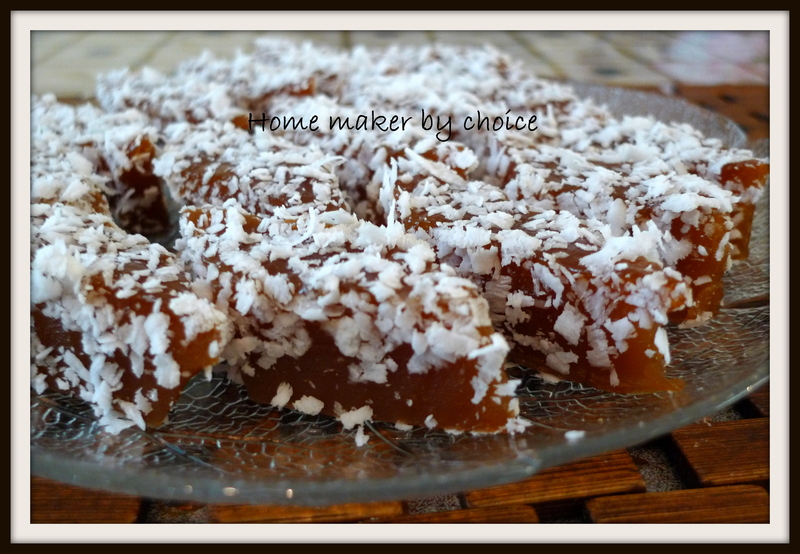 Roll the cut kuih kaswi onto the grated coconut topping. Serve. 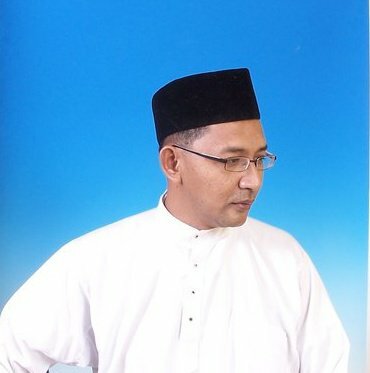 Last Monday 5 March 2012 @1:15 am(Malaysian time), my beloved uncle, Hazmi Hamzah has passed away due to heart attack at the age of 45. On that very morning or shall I say midnight, while I was preparing to sleep, I just felt like looking at some facebook updates on my iPhone and the first update that popped up the screen was my uncle’s ex-wife status and when I read ” My elder kids lost their father earlier this morning..” my heart missed a beat… I paused for awhile and then read it again…. can’t believed what I’ve read….it can’t be true… so I called my mom but she didn’t picked up the phone, called my sister but no answer, so I called my brother and he confirmed the news…. my beloved Ayah Mie indeed has left us. My uncle was warded the day before due to blood thinning causes by some medication that he took couple of days earlier and as a result of that, he had bruises all over his body and his heart became weak. Later that night, he was complaining about pain all over his body…. well… according to my brother who is a doctor, it is normal for the heart patient to experience the pain all over their body. My brother told the attending doctor that my uncle actually has 3 blockage in his heart and our family has a history of heart attack , in fact my uncle’s brother had died of heart attack at the age of 40. Only then the doctor starting to read my uncle’s file… sad isn’t it. My brother then requested my uncle to be brought to ICU but the attending doctor told him that he has to wait for his supervisor before sending a patient to ICU…. he said may be in 2 hours time…. unfortunately, it didn’t happened at all. They just gave him a shot for the pain. At mid night he woke up in pain again… at 1:00 am he was unconscious and 15 minutes later he left us all. Al fatihah. The sad thing is he just got married one month ago after 11 years being a divorcé. My deepest sympathy goes to my new auntie and I hope that she will be strong in this hard time and please keep him alive in your doa and prayers. My prayers and thoughts are with you during this difficult time.